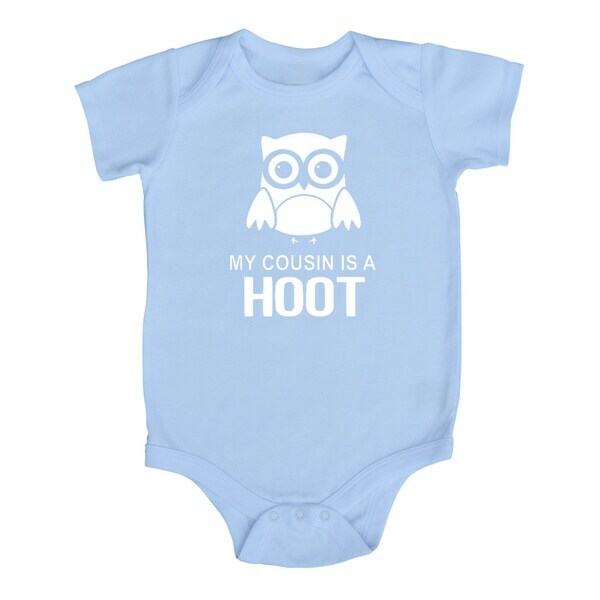 This baby bodysuit features an owl graphic with text reading 'My Cousin is a Hoot'. Both the shirt and graphic are super durable and wash well. Cute style & good quality. Product arrived on time, was in great condition and even cuter in person.